As your pet grows older, he or she may develop a range of diseases and conditions associated with aging, such as obesity, diabetes, arthritis and kidney disease. Despite the health problems often associated with aging, your pet can enjoy a full life if you're familiar with the signs and symptoms of common health problems. By partnering with your pet's veterinarian, you'll learn to identify potential signs of trouble. Take a look at these six questions you'll want to ask the vet the next time you visit. Is My Pet Too Thin or Too Heavy? It's normal for pets to become less active as they grown older. Unfortunately, a decline in activity can lead to weight gain and increase your pet's risk of heart disease, high blood pressure, diabetes, arthritis and other conditions. If your pet is obese or overweight, his or her veterinarian may recommend more exercise, a reduction in portion sizes, a change in diet or other modifications. Some pets become thinner as they get older. In some cases, they might appear thinner due to a decrease in muscle mass, but may be perfectly healthy. In others, weight loss may be a symptom of an underlying illness, such as diabetes. If the veterinarian is concerned that an illness may be responsible for the weight loss, he or she may recommend blood or other tests. Does My Pet Need Dental Work? Tooth decay and gum disease can cause pain, difficulty chewing, bad breath and red, inflamed gums. If dental problems aren't treated promptly, your pet may lose teeth or develop a bacterial infection. Dental infections are dangerous because they can travel to other areas of your pet's body. Your pet's veterinarian may recommend dental work, if needed, and/or a thorough cleaning to remove plaque and tartar. How Can I Tell If My Pet Has Arthritis? It's hard to be your usual playful self when your joints ache with every step you take. Luckily, arthritis, a common joint condition in older pets, can often be managed with anti-inflammatory and pain medications. Your pet's veterinarian can share common signs of arthritis, such as difficulty walking or jumping and stiffness, and may also suggest a few things you can do to make your pet more comfortable at home. Installing a ramp to your bed if your pet sleeps with you, buying a litter box with low sides, helping your cat with grooming or giving your pet massages can make living with arthritis easier for pets. What Are the Signs of Potential Health Problems? My Pet Seems Confused at Times. Is This Normal? Dementia is another condition that pets share with people. In fact, behavioral changes in older pets may actually be caused by the condition. You may notice that your cat meows continually or that your dog barks randomly. Pets that have dementia may lose interest in regular activities, stop interacting with you and other pets, pace back and forth, become lost and disoriented in your home, spend long periods staring or have housetraining accidents. Should My Pet Have a Blood Test? Blood tests often detect common diseases before you pet shows any symptoms. An annual or semi-annual blood test can determine if your pet has diabetes, or liver, thyroid or kidney disease. Early identification of these diseases can help prevent complications. Although older pets require more attention and care, they can continue to live happy lives with your assistance. 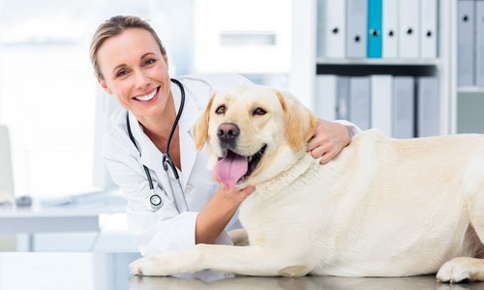 If it's time for your furry friend's next visit to the veterinarian, give us a call. All Hours Are By Appointment.